Search for more <a href="http://www.upcomingcons.com/anime-cons">anime cons</a>, <a href="http://www.upcomingcons.com/science-fiction-conventions">sci-fi cons</a>, and more cons at <a href="http://www.upcomingcons.com">UpcomingCons.com</a>. Add our new widget - click here! Text Links Change these as you like. 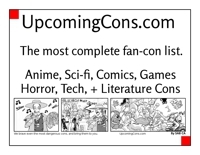 UpcomingCons.com is a fan's resource for finding upcoming anime, comic, gaming, and sci-fi conventions throughout the world. 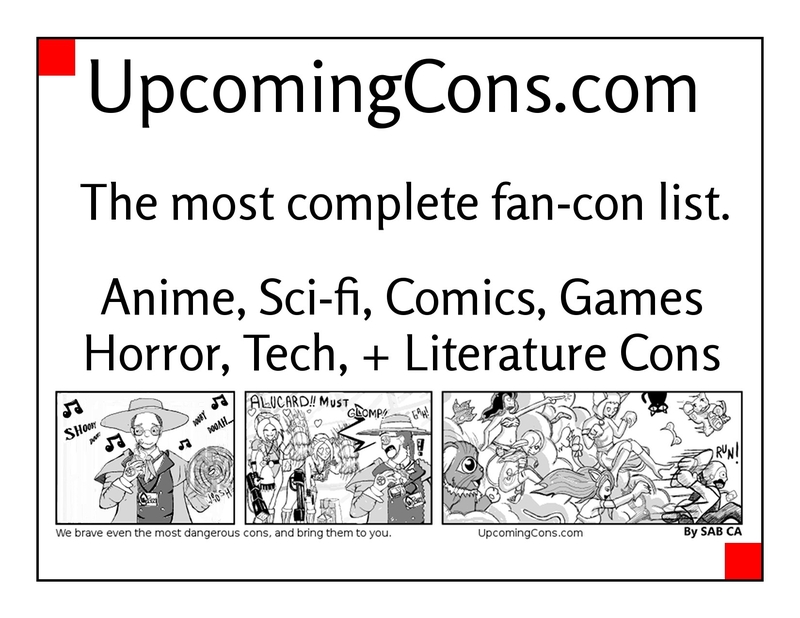 We list all kinds of conventions, for many kinds of fandom. We also enjoy participation in Cosplay, and you will find links to our own picture galleries on our website as well. If you would like increased exposure to anime convention fans you can either advertise or you can bring us to your convention (from Iowa). If you bring us to your convention, we will promote your con with tons of free advertising, pictures, and a whole lot more.